Warm water from underground bubbles up through sand into clear spring pools. Silvery blue pupfish dart between swaying strands of dark green algae. Pebbled streams gurgle from hillside springs, sheltering snails smaller than a grain of rice. Birds bicker in a nearby mesquite trees. A lizard scurries along the white powdery ground into shadows cast by a clump of rare Ash Meadows blazing star. Ash Meadows National Wildlife Refuge is a haven for rare native wildlife and for people. In a world of dwindling natural areas, especially wetlands, the Refuge protects a unique piece of earth. Here you can escape the rush and blare of the city, admire the beauty of the desert and wetlands, marvel at the variety of plant and animal life, and know it will be here for generations to come. Ash Meadows National Wildlife Refuge was established June 18, 1984. Managed by the U.S. Fish and Wildlife Service, the Refuge protects threatened and endangered species, many of which occur no where else in the world. 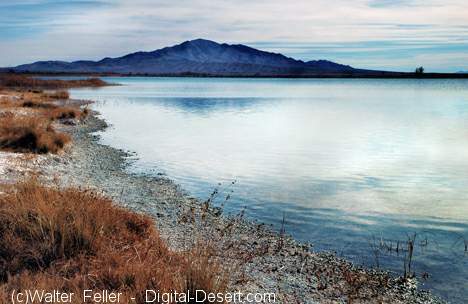 It encompasses over 23,000 acres of spring-fed wetlands and alkaline desert uplands. The name Ash Meadows refers to the abundance of Ash trees once found in the area.